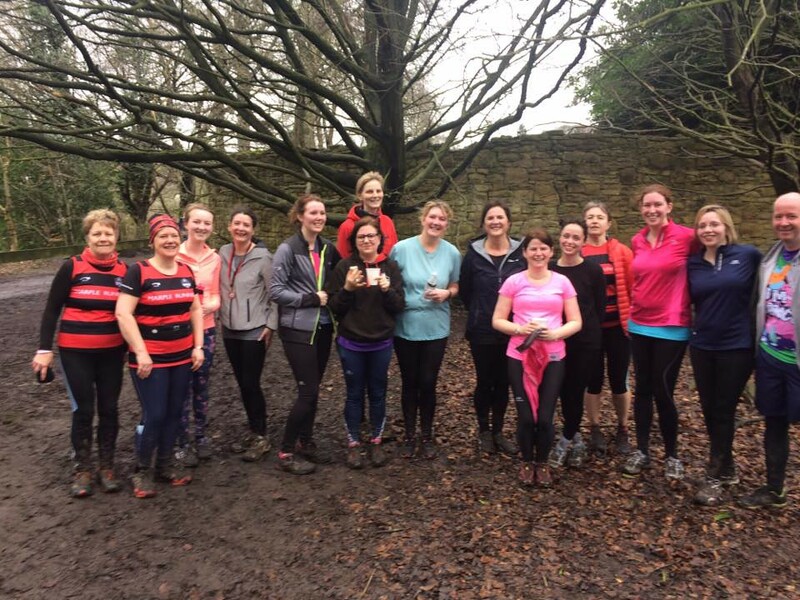 This week's report comes from Eve Taylor, who is a parkrun Ambassador helping the new Macclesfield parkrun team start in a few weeks and was here with the team for some hands on training. Well what a difference from last week when, for the first time in about five months I was running in shorts and t shirt at parkrun; but not today! The forecast didn’t look great, indeed the Met Office was saying that with the wind chill, the temperature would be around -9 and they weren’t wrong. I last ran at Marple parkrun in June 2013 in significantly warmer temperatures and with less mud but I loved my return visit and must come back soon. 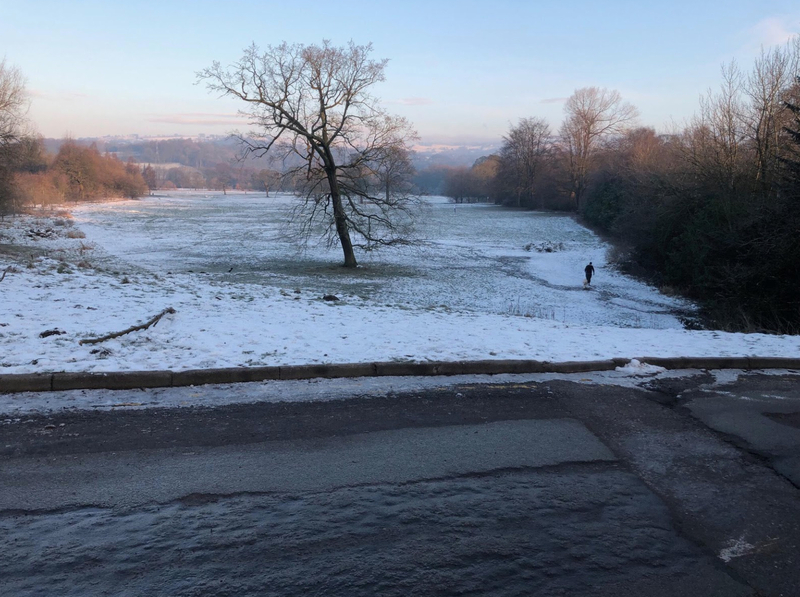 In spite of the weather, 100 hardy souls came down to run at Marple today including 6 newbies to parkrun – Annabelle Parry, Rebecca Wolfenden, Jonathan Crosby, Paul Healy Robert Scrutton and Sam Astley – welcome to the parkrun family and we hope that the weather improves for your run #2. With the wind behind them, the runners set off down the field, negotiating the mud in the bottom field before eventually finding some shelter in the woods. Apart from being blasted by occasional gusts and snow flurries, once you got going the conditions weren’t too bad. At least it wasn’t raining! Amazingly, 6 of you managed a PB – hats off to you and well done. Huge congratulations must also go to Sue Thorpe who completed her 50th parkrun. Even more hardy were the fabulous volunteers this morning, the majority of whom were from the forthcoming Macclesfield parkrun core team. (When we launch, do visit but please wait a few weeks before doing so!) They did a brilliant job in such cold conditions, particularly Annie and Kathryn who were time keeping – goodness knows how you both managed not to make mistakes. Thank you to you all for being such a great group, for giving of your time and for making today’s run possible. We hope that it didn’t take too long to thaw out. Massive thanks to the Marple parkrun team for allowing the Macc team to do some training today under the guidance of James Kemp – thanks James. Thanks to Matt Kay and Sue Thorpe for the following extended report/blog. First Matt…...Nothing beats a bit of parkrun tourism especially at Christmas. After giving my word to James at Sale parkrun back in November that I would make a Christmas appearance at Marple, I kept true to my word ably assisted by my old man, Geoff, to help marshal everyone round. Congrats to Stuart Cameron who was first over the line and Anna Mackenzie who was first lady in challenging conditions. As a proud runner of Ealing Eagles it was also pleasing to see a Serpentine runner, Victoria Basquill, and great to meet Helen Melluish a regular at another tough parkrun, Hilly Fields. It turns out Helen and I share a few mutual friends at Osterley parkrun. In addition to the parkrun tourists such as myself there was a solid core of Marple Runners and Stockport Harriers in attendance to help the numbers despite the cold and wet conditions. Well done to Mark Ardern completing his first parkrun, extra brownie points for picking the toughest one I've done as his first. With regards to the course I can have no complaints, I’d been pre-warned that a PB would be very difficult to obtain on the trail focused course that is Marple parkrun. However, I was not to be deterred and set off at a canter with the lead pack of runners. I quickly realised though, after flying over the first mini divot, that it was not going to be a quick time. As I reached my dad, doing his bit on the course, I took one look to his right at the continuing mudpools and aborted my pace in favour of a leisurely trot - after all its parkrun not parkrace! I continued to splatter through the various puddles with lots of Santa's and elves slipping from side to side as I, along with many others, tried to remain on my feet I then heard a cry from behind me "I've lost my shoe" I think this was the point where I truly realised how tough the course was, certainly not for the faint hearted and could easily be mistaken for a competitive cross country course as opposed to a parkrun. That said, with the championing and continued cheer of the volunteers, all the runners including myself got round. That leaves me to my closing point, Marple still needs a few volunteers for New Years Day so if you're able to help out please put your name down; if not please find some time to help out in 2018 because without the volunteers we wouldn't be able to experience this great event each week. Whilst there is always a strong core as a backbone to keep things ticking over if everyone else does their bit then that will ensure the smooth running of the event on a weekly basis. Well done to this week's runners and thank you to all of the volunteers. And from Sue……….I started coming to the Marple parkrun in September 2016 and decided to volunteer as a Tailwalker on Christmas Eve. I found that I like being the Tailwalker, you never know who you will be running or walking with. As a new runner, I was worried at first that I would not be able to keep up with the last runner. But I was assured that did not matter - my mission was to come last! As it says on the parkrun Volunteer Roles page: "The Tail Walker stays at the back of the field and should be the last person to cross the finish line, ensuring that everyone is accounted for." I was handed a hi-vis jacket and a lanyard with instructions and contact details. I stored the Marple parkrun mobile number in my own phone in order to save time should I need it in an emergency. So that first time, I set off with an experienced runner who was walking due to injury. Walking? I had to scurry to keep up with her, she is a lot taller than me. Luckily for me we caught up with an octogenarian (Brian Platt) who was struggling a bit with a cold and asthma so I had an excuse to slow down a bit. It was nice running with Brian as he told me a lot about parkruns - he should know as he has now done over 460 of them. Running with children can be fun! I saw that the Marple Junior parkrun was desperate for volunteers one Sunday so I volunteered to help by Tailwalking. First of all, I joined in with the warm up exercises - that was harder work than running! Then we set off, most of the time I was with two small children and their dads. Part way round the second lap the little girl sat down and removed her shoes and socks so that her dad could wring out the water. A bit later the boy stopped to pick flowers. He was actually a fairly experienced parkrunner, just not in the mood for running much that day. Another time on the Saturday parkrun I was with a mother and her daughter who didn't want to run that day, although I looked at her stats later on and she can actually run faster than me. We did have a nice chat during the second lap though as we alternated running and walking. On another occasion the tail enders dropped out and I ended up with pb's for 1km and 1 mile as I ran all the way from the start of the second lap to halfway along the river to catch up the next person! I have also walked with a man carrying a very young baby strapped to his chest. We chatted all the way round. There are a couple of other things to remember - as you approach the end of the first lap the faster runners will nearing the end of their run, so the Tailwalker has to try to keep the people they are with to one side - often new parkrunners will not be aware that they will be passed - at speed. And finally, to tell the marshals out on the course know that they can collect nearby signs and leave their post. Although one time my nephews were visiting and ran/walked the second lap with me, insisting on collecting all of the signs as we went around. The youngest even ran through the finish line with his arms full of the signs - I told him not to as he hadn't run the full course - but he was ahead of me and I couldn't stop him! The stats were adjusted so he received his volunteer credit but no run time. And so to my last Tailwalk of the year - my 15th time as a volunteer and also my 40th run. A dull drizzly day with lots of slippery mud but quite pleasant for running, not too hot or too cold. Today I was accompanied by James Ignotus who is a Duke of Edinburgh volunteer with Marple parkrun. We donned our high visibility jackets and waited for the start. As we went along I explained about Tailwalking and asked him to remind me to tell the marshals that they have finished their duties when we pass them the second time. I once forgot to tell my sister-in-law who was new to parkrun and had to ask the next marshal to let her know as she was passing on her way back to the start. In my defence, I was distracted by the aforementioned nephews! Despite the mud, this was a fast run today with only a little bit of walking, at 41.55 it was a Tailwalking pb for me. Well done Heather, I knew it would be a good time because we were near the end of the first lap when the first finishers started to pass us. So in summary, being the Tailwalker is a fun way to volunteer and a good way to get to know the other parkrunners and marshals as you, and the person you are with, always get a lot of encouragement. And as a bonus you receive both a run credit and a volunteer credit. Despite a late night with our ukulele club we woke this morning just a few minutes before the 06.30 alarm. We drew back the curtains, oh joy! Raining. But we had no choice but to drag ourselves out of bed because we had volunteered to meet Brian who was going to teach us how to do the Event Setup at Marple parkrun. Brian does this job almost every week so he certainly knows the ropes. After a slightly larger bowl of cereal and a cup of tea, but not too much because it will be an extra hour to last - there are no toilets at Marple, we gathered up our wellies and cagoules as well as our normal running gear and drove to meet him. Marple is a two lap course, so after collecting the bollards for the funnel and the wheelie bin with the equipment we set off to walk the course, planting the km signs, the keep to path signs and a selection of arrows in the appropriate places. I tried to take careful note of which tree or other landmark to use for the km signs, for future reference. As expected, it was very wet and muddy so we were glad of the wellies. It was still raining, although it had eased off a bit by the time we finished after a pleasant stroll and chat. Back near the start the other volunteers were gathering ready to take up their positions but we returned to the car to remove the cagoules and change into our running shoes. The rain had almost stopped so we left our jackets behind. Back to the start, the rain had stopped so we were ready to run - Brian did his 460th parkrun, Geoff got a pb and I just enjoyed a steady pace. We were certainly ready for a brunch and a pot of tea, after showering off all the mud, of course. This week’s event was made possible by the following amazing volunteers Brian, Miranda, Harry, Chris, Gina, Gordon, Vicky, Mike, Pat, Carol, Sam, Maddy, Rab, Elliott, Geoff and Richard who enabled 178 people to run, jog and walk our course. Along with our 18 first time attendees we also welcomed the new Mrs Stephenson. Mat and Alison were married on Friday 25th (in Marple Runners kit) and after celebrating with friends and family into the night managed to get along, with several guests, to run at Marple. Massive congratulations to you both, we know you’ll have an incredible life together. We also celebrated Gareth Hurfurt's 150th run - his 100th at Marple. Maureen Hughes completed her 50th parkrun, Katherine Harvey her 100th and the legend who is Brian Platt, his 450th. Our lovely event cannot run without our amazing volunteers. If you’ve never tried the other side of parkrun please do think about giving it a try. Get in touch via marplehelpers@parkrun.com or register for email alerts by going to the parkrun registration page and fill in the simple form. The full results and a complete event history can be found on the Marple parkrun Results Page. Despite the recent spell of dry weather, Saturday morning turned out to be colder than expected. Our bumper turn out of volunteers were taken by surprise. As always a big thanks to our volunteers and if you would like to help next week, or anytime then please email marplehelpers@parkrun.com. That matched a bumper turn out of runners. 216 of you ran our course today which has only been bettered once other than Anniversaries and New Years' Day runs. Thanks to the recent dry weather the course was in lovely condition. Although the football field is very rutted and this did not help Simon Rushton who went over on his ankle whilst chatting instead of watching where he was going. Please take care. The conditions must have helped to a phenomenal 53 personal bests which is just under a quarter of the field. That is just fantastic running and a testament to the effort put in over the winter/spring. Great running. 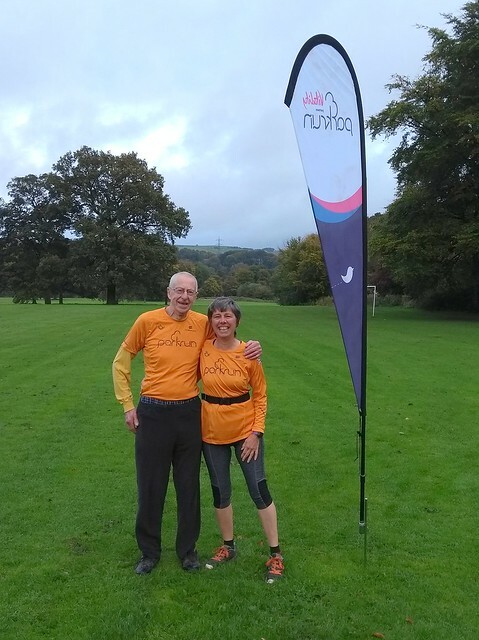 Also celebrating today was Elaine Jackson with her 100th parkrun and Peter Charnock, Collette Rose, John Duffy and Rick Groome completing their 50th runs. Well done to all. We did notice a couple of under 11s that appeared to be running without an adult close by. Please can you make sure that you are running with your children. This is a parkrun insurance and safeguarding requirement. After last week's run the team had some excellent CPR and Defibrillator training by our regular volunteer Mark Ansbro who is a Paramedic. We learnt how our defib works and talked about lots of things health. The defib is at every Marple parkrun and is kept by the start/finish area. The team would like to thank Mark - he was a great teacher. May 27th will see our 5th Birthday. That has been 5 amazing years that has seen our event become firmly established in Marple and we have a great community. We will celebrate in the usual way by finishing in the field and some cakes of course. If you can, put the date in your diary and bring along some cakes. No yolk (thanks Sarah), Brabyns is drying out and conditions are improving every week. This week 164 people ran, jogged, hopped and walked the 2 lap course. There were 19 first timers, 24 personal bests, representatives from 17 different clubs, a good number of visitors, just a few Marple Runners and #teampr were back in force. An eggstra special mention for Dominic Warner (JM 11-14) on his 10th run and for Don Wagstaff on his (surprise) 100th. The event was made possible by 17 incredible volunteers who egged our runners on and then timed, tokened and scanned everyone in – you know the event doesn’t happen without these eggstraordinary people, some regular and some occasional, so if you have the opportunity to help out one Saturday (or Sunday for the juniors) please get in touch through the volunteer page on the relevant website. Today's full results and a complete event history can be found on the Marple parkrun Results Page. Marple parkrun started on 26th May 2012 - anniversary run getting closer - CAKE!! The sun came out to welcome 134 runners and 17 Volunteers this Saturday. Congratulations must go to the 11 athletes who achieved a PB this week, looks like the course is starting to dry out and people are working hard. We had 9 visitors to Marple, mostly from the surrounding area, but we also had a visit from James and Paul Fields from Kilkenny parkrun (Ireland), I hope you enjoyed your run. We also had 4 athletes who were taking their first ever parkrun with us, I hope to see you all soon! I would also like to congratulate Daniel Wood (10 runs) and Nigel Cowen (100 runs) for reaching the milestones. After a promising week with some lovely dry weather and a tropical Wednesday, Storm Stella put pay to that as she swept in yesterday putting the drying out process back a couple of weeks. That did not deter the amazing "Pub 2 parkrun" group from Marple Runners. Having not run at all, or with very little running behind them, the 11 runners started 9 weeks on freezing January evenings. The first run was 30 seconds bursts followed by walking rand today saw the culmination in all their hard work. We had Alison, Chris, Debra, Emma, Gemma, Gaynor, Jen, Josie Katherine, Liz, Mandy, Rachel, Sharon, Susan and Suzie. It was an honour to be Run Director today and was asked to present them all with a Pub2parkrun Medal. There were lots of smiles and one or two tears. Fantastic. Well done, all of you. The course was such a success that it will probably be repeated and some of the "class" have joined up as full time members of Marple Runners. This week we welcomed seven first timers to the Marple parkrun family and there were ten happy new personal bests. One hundred and thirteen people walked, jogged and ran the course, no doubt enjoying the mud, which we like to think of as a beauty treatment for the legs. We celebrated with the Roses; it was Tobin’s 13th birthday and Zach’s 50th parkrun – congratulations to you both from everyone at Marple parkrun! It is a shame that at least one runner chose to cut across the meadow during the run. We encourage everyone to stick to the designated route. Not only does this keep you safe but it means you can be proud of your achievement on the day and of your progress over time. It also sets a good example to our youngest runners that taking part is just as important as getting a ‘personal best’. On a positive note we’d like to say a huge thank you to our fantastic volunteers. Without you none of this would be possible. Well done to everyone who took part, whether you’re a first finisher or making friends with the tail runner you can be proud of your achievement. Hope to see you again and remember: don’t be a funnel ducker!